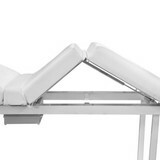 Lumi is the professional treatment and massage bed by ISO Benessere that stands out for its essential and elegant design, a high level of comfort and the suspension effect on colored light that creates an exciting atmosphere throughout the cabin. 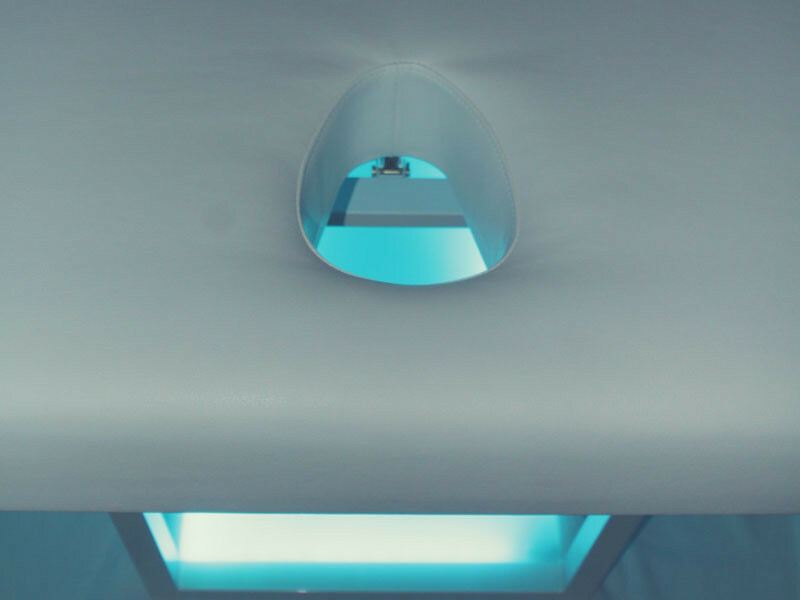 The high comfort of Lumi is guaranteed by the large sizes and the softness of the multi-layer mattress of 10 cm, as well as by the regulation of the positions of the bed. 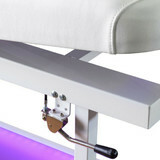 The backrest, the height and the lifting of the legs are totally manually adjustable. 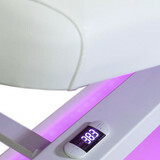 The heating system of the entire mattress ensures a further pleasant feeling of relaxation. 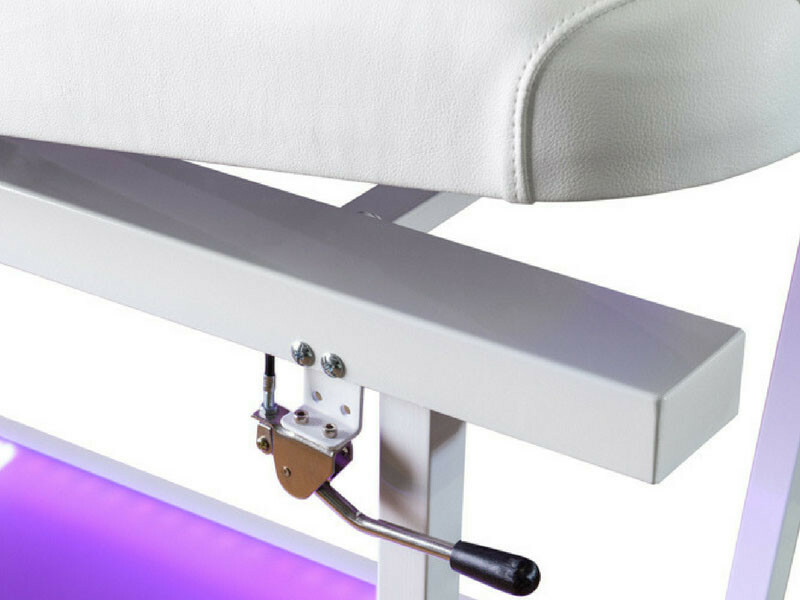 The structure and composition of the professional treatment and massage bed Lumi make maintenance and cleaning operations quick and easy. 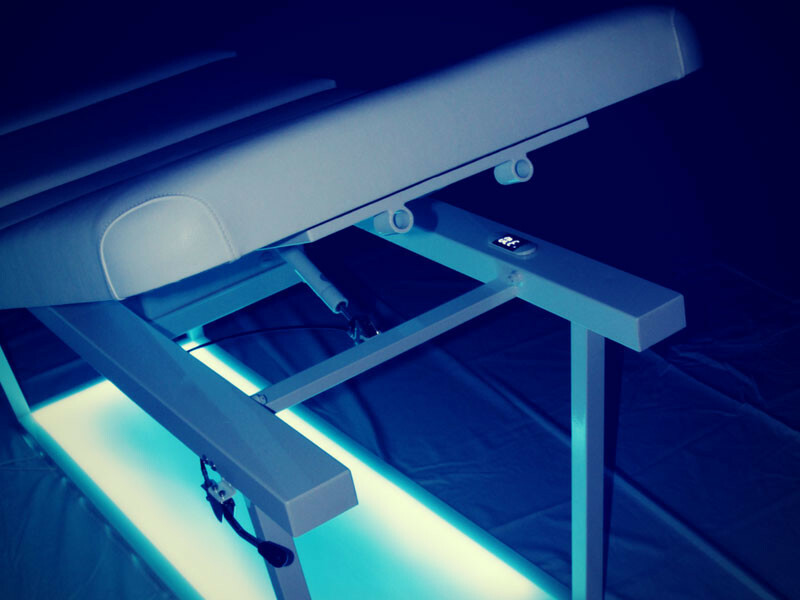 The face hole increases the comfort of the client in a prone position that will completely relax the muscles of his shoulders and neck. 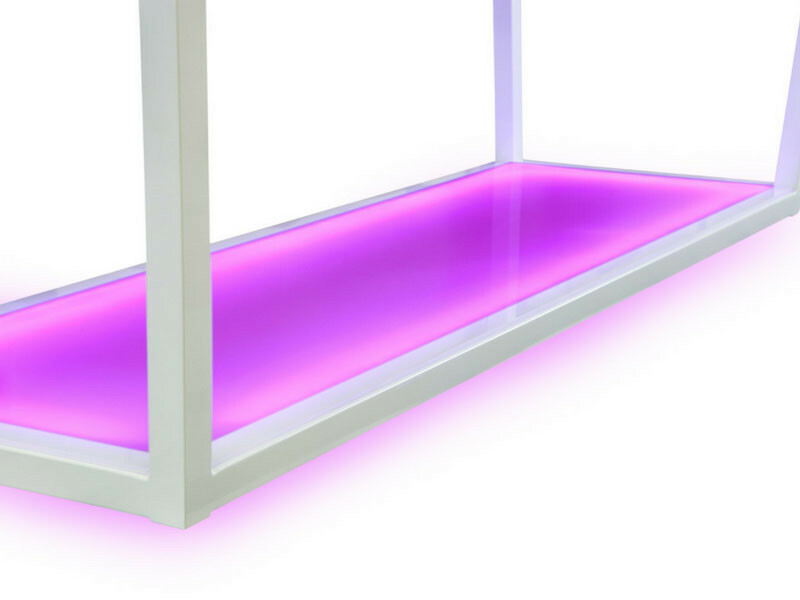 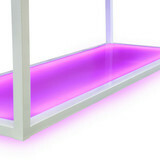 The RGB LED backlit plexiglass lets Lumi be unique and gives the sensation of being suspended in the light. 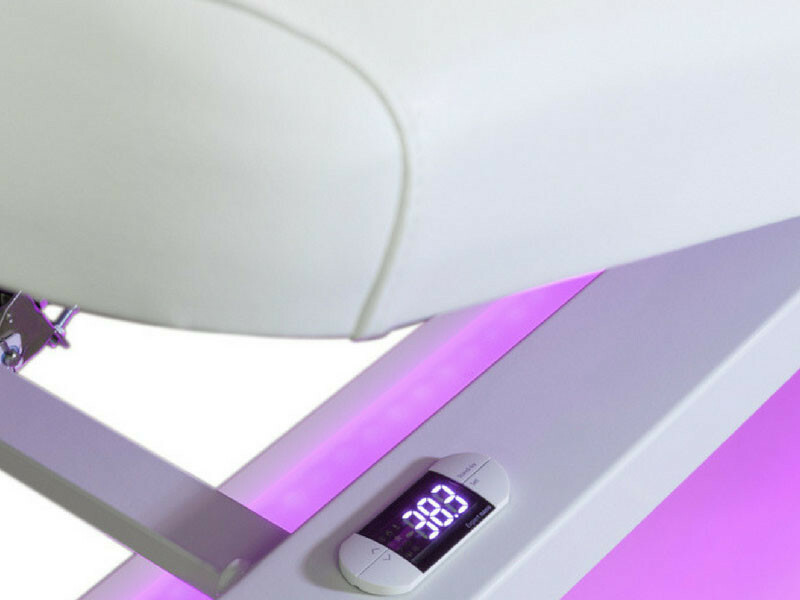 Lumi 's advanced chromotherapy system is able to fill the cabin with an atmosphere of great emotions. 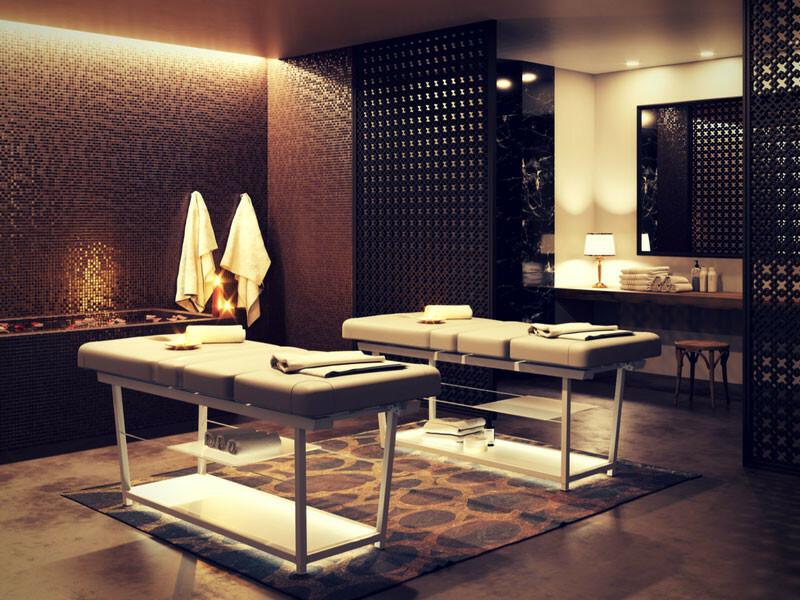 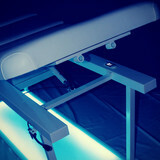 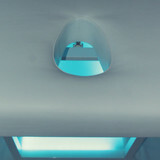 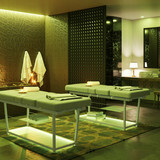 The professional treatment and massage bed Lumi is comfort, color and light. 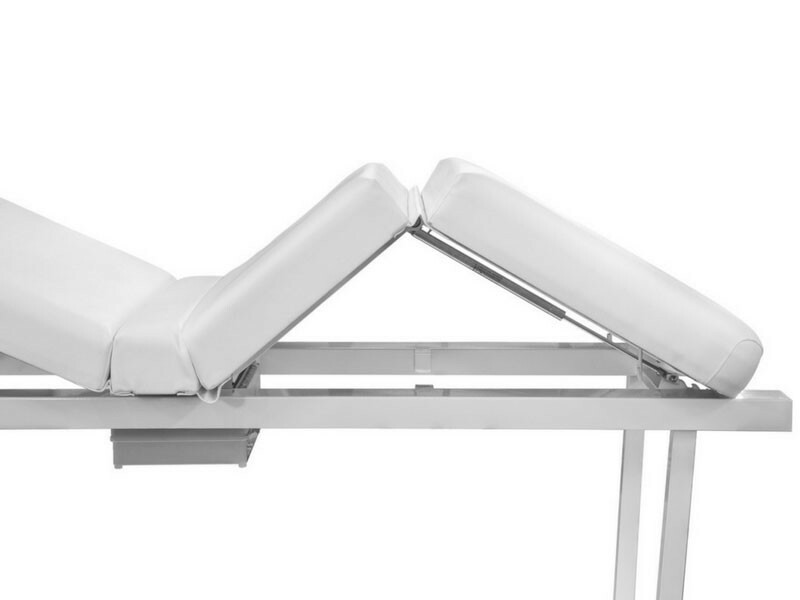 Equipped with adjustable backrest and leg zone and a wide and comfortable mattress with a backlighted plexiglass base to offer an incomparable atmosphere.